Is the problem caused by your network, systems, or applications? NNT´s powerful change & configuration management solutions allow organizations to gain configuration control of the entire IT infrastructure. This means that IT teams can establish the best possible state and configuration for the IT infrastructure and ensure that any changes are planned and approved. Unplanned or unauthorized changes are alerted immediately, allowing IT to react and if necessary hone in on the change and remediate to the last known and preferred state. This vastly improves IT service delivery and reliability & ensures compliance audits are easily met. 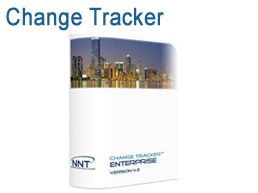 NNT Change Tracker™ Enterprise and Remote Angel™ solutions ensure your IT infrastructure remains in a 'known, available and compliant' state at all times. NNT Software allows IT staff to quickly isolate performance and configuration changes to IT infrastructure components that may be the cause of problems. Which changes were planned vs unplanned - the detail of the changes are document and reconciled with what actually changed via NNT’s 'Closed Loop Change Management' process. All planned changes can be authorized and scheduled, providing the ability to separate planned changes vs unplanned changes to cut down the number of false alerts and assist you in driving a culture of zero tolerance to unplanned changes throughout your infrastructure. 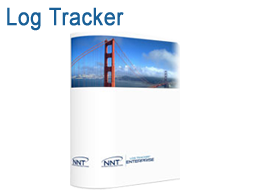 NNT Log Tracker Enterprise™ provides a comprehensive and secure solution to any compliance mandate. Log analysis is a key weapon in the fight against any cyberattack. Identifying the method and source of any attack allows preventative measures to be continually improved. This is why all security policies place log retention at their core.PCI DSS compliance requires logs to be gathered and reviewed daily, and retained for at least one year.Similarly for GCSx Code of Connection or CoCo compliance - Audit logs recording user activities, exceptions and information security events are to be retained for at least 6 months. NNT Log Tracker Enterprise™ doesn’t stop there. All event logs are analyzed and correlated automatically, applying a comprehensive series of rules pertinent to any Security or Governance policy. Any breach of compliance will be alerted immediately allowing pre-emptive action to be taken before a problem arises. Pre-Defined rules templates allow you to be in control of compliance straight out of the box. PCI DSS and GCSx Code of Connection supported "out of the box"
Many organizations choose to delay the implementation of their PCI program, being wary of the resource requirements necessary to manage PCI compliance. Our specialists are expert in designing datacenter solutions and can help you create a plan for sourcing and deploying your NNT solution. Optrics offers personalized product training - a service designed to help you integrate your New Net Technologies solution smoothly into your network infrastructure.